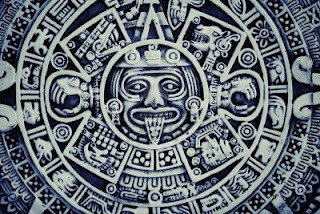 As the year comes to a close, people start to look back on the past year as well as look toward the future. New Year's resolutions are planned with the very best intentions of making said declaration evolve into a reality. In many cases these resolutions include becoming more healthy. Whether the subject is wanting to become spiritually, physically or mentally more health conscious, well-being is at the top of most lists. Because health and wellness are such a high priority in today's society, hotels and resorts have started to create luxurious facilities that will cater to this need. In many locations, these resort spas utilize customs and traditions that are pulled from the surrounding culture. Discover some of the amazing resort and hotel spas that can be found inside a number of the Best Hotels and get ready to soothe your mind, body and spirit. Hawaii may be part of the Untied States, but this tropical paradise is culturally as well as physically different from the other 49 states. Located in the Pacific Ocean, the islands are known for their kind people and beautiful natural resources. The Four Seasons Hualalai is an exclusive resort that takes advantage of these resources with a truly inspirational spa. Before you head to the treatment room, check out the apothecary and select ingredients to create a custom experience. Black lava salt, hibiscus honey and even macadamia nuts can be found on the menu, so find the perfect combination and get ready to indulge. 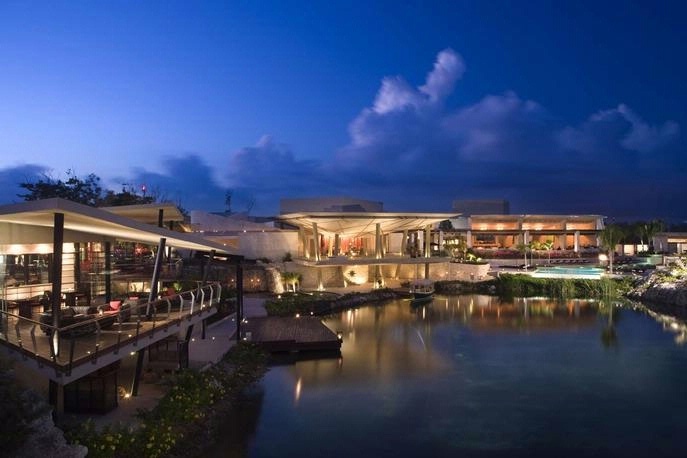 Another completely awe-inspiring location is in sensational Playa del Carmen. 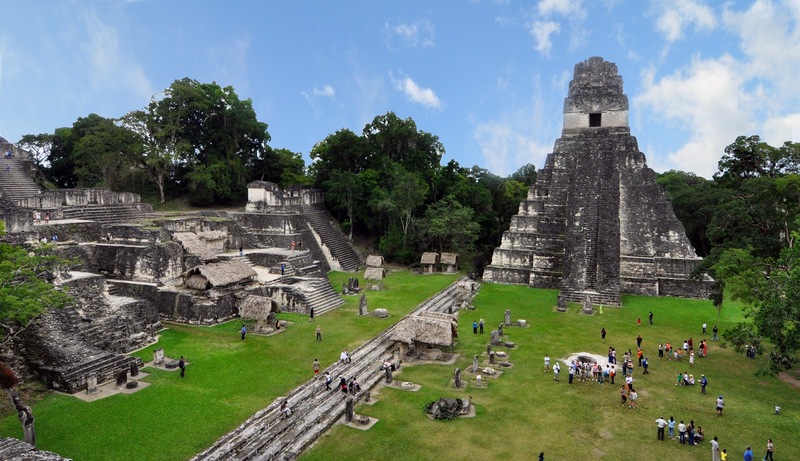 This Mexican city calls the Yucatan Peninsula home and nestled between the ocean and jungle. Rosewood Mayakoba does it's very best to entice the senses of its guests with an over the water spa and treatments that are inspired by the ancient Mayans. In Playa del Carmen you can experience the ruins and brilliant architecture of the ancient Mayans, but at Rosewood Mayakoba you can participate in the healing properties of their past rituals. Resorts and hotels love to use decor from the area to create stunning interiors that are not only trendy but inviting and comfortable. 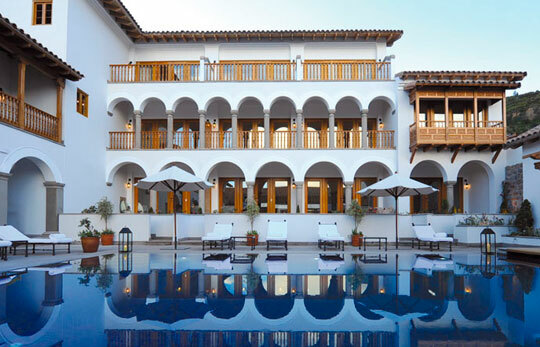 Preferred Hotel and Resorts seems to go one step above that by actually using one of Cuzco, Peru's historical landmarks as the site of the most exclusive hotel in the area. Palacio Nazarenas is inside a former 18th century palace and convent . This lovely hotel may be small but overflows with charm and the on-site spa is no different. The products that are used here are infused with cocoa leaves and white sage from the famous Lake Titicaca that is nearby. With hotels vying for customers, every location needs something to help them stand out. The spa facilities are just one of the ways that they can do just that. By offering up treatments that utilize locally grown products, guests of the hotels feel like their experiences are significant and unique to the local customs and traditions. Check in at one of these amazing hotels and get ready to jump start your new year in style and serenity. Some fabulous ski cities can be found scattered across the US, and this time of year many of these tiny towns begin to welcome large groups of tourists and visitors. 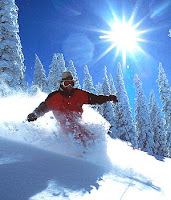 Skiing is a favorite winter sport among many Americans and the towns that have built up along the bases of the mountains capitalize on this fascination. 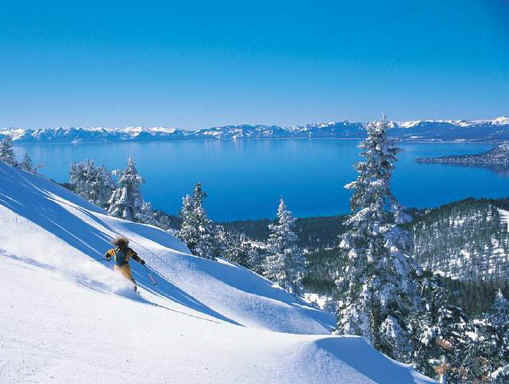 Lake Tahoe is known as a hot spot for summer and winter sports and the town of Truckee,California is a destination that is situated near Lake Tahoe and boasts some great ski resorts and lodges. The town of Truckee is nestled in the Tahoe National Forest and not to far from Reno. It is a short drive to Lake Tahoe which makes the town a nice location for summer sports as well as winter. But this time of year it captures that attention of snow lovers with its 12 downhill slopes and 8 cross-country resorts all within a 10 mile radius. During the cold months you can still find sunshine most of the year and an annual 400 inches of snowfall. Not too shabby for this quaint California town. When you head to Truckee or Lake Tahoe, WhatAHotel! is here to help you with your travel plans. 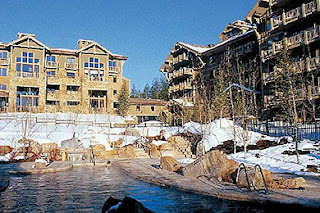 We offer up some of the Best Hotels in Lake Tahoe as well as a phenomenalhotel in Truckee. 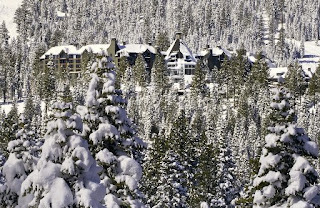 The Ritz-Carlton Lake Tahoe is located in the town of Truckee and hosts breathtaking beauty. This pristine resort is mid-mountain and presents views of snow capped mountains. The on-site spa features 16 treatment rooms and a modern fitness center. Extraordinary dining and restaurants call the Ritz-Carlton home including the French inspired Manzanita. During your stay at the Ritz-Carlton guests will enjoy outstanding service and remarkable amenities. Get ready for an impressive stay in a unique little town. Families are heading out to the slopes to enjoy the snow and sunshine, doing their best to keep away the wintertime blues. Ski resorts are open and ready for business, enticing guests to relish the slopes, the food and the fantastic conveniences found here. 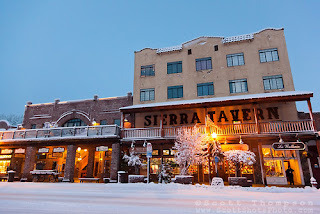 Truckee, California is waiting to greet you with warmth and hospitality. Check in at the Ritz-Carlton Lake Tahoe and be prepared to appreciate the posh setting and stunning views. As people are starting to recover from Christmas Day travel, food and family, a blizzard is bearing down on the middle of the United States. Yesterday, normally warm Dallas, was hit with some nasty weather as well. Winter is in full swing and with the holidays over, many wonder why they are hanging around the cold and wet weather. 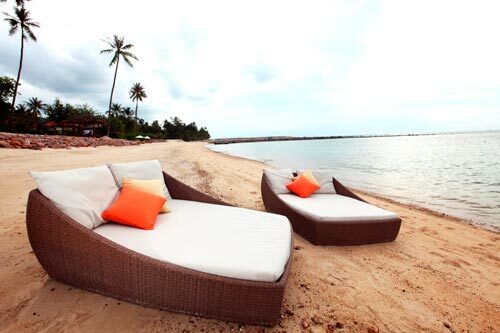 If you need an idea of where to get away from it all, Koh Samui might just be that perfect place. 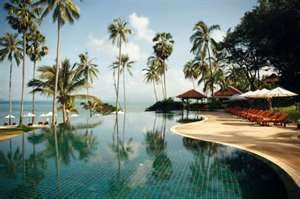 Thailand is a true exotic vacation destination and the city of Koh Samui is considered by many a kind of heaven on Earth. This island is exploding with natural beauty and the locals are charming and welcoming. Unlike the sometimes treacherous weather you find in the US, Koh Samui almost always presents beautiful weather. As if that weren't enough reason to head here now, the months of December to March are considered the best times to travel. Head here and get ready to forget the cold and ice back home. One of the Best Hotels in Koh Samui has to be Napasai Beach Resort. Located on the farthest tip of Koh Samui on the northern side of Thailand, this resort is the true definition of beach front. Nestled among cashew trees and other lush tropical trees and plants, the white beaches almost sparkle in the sun. Curl up on one of the pool side lounge chairs and look out over the gardens and the Gulf of Thailand. If you're really lucky you might catch a glimpse of the family of buffalo that call this resort home. They were brought here to help with resort work but they soon discovered what other visitors discover, upon arrival relaxation becomes almost instantaneous. 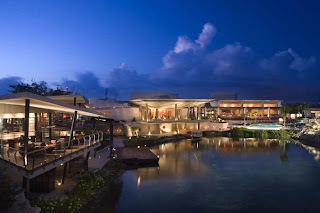 The restaurant bars and lounges are luxurious and deliver amazing and delicious delicacies. Sip a sweet cocktail and unearth your inner peace. Restore your mind and body at the Napasai Spa. The tranquility and serenity will envelope and indulge you. When you book a suite or private residence at Napasai Beach Resort through WhatAHotel! guests will receive exclusive complimentary benefits and perks. Stay at Koh Samui's fashionable Napasai Beach Resort and uncover fabulous amenities, exemplary service and modern conveniences. Napasai is an island paradise waiting to pamper you, mind, body and spirit. When the excitement of the holiday has passed and the winter blues start to settle in, think of booking an exciting trip to Koh Samui with WhatAHotel! Our amazing staff will help to create the perfect travel plans that will ensure you have an unforgettable getaway. Pack your bags and get ready to warm your soul at the Napasai Beach Resort. 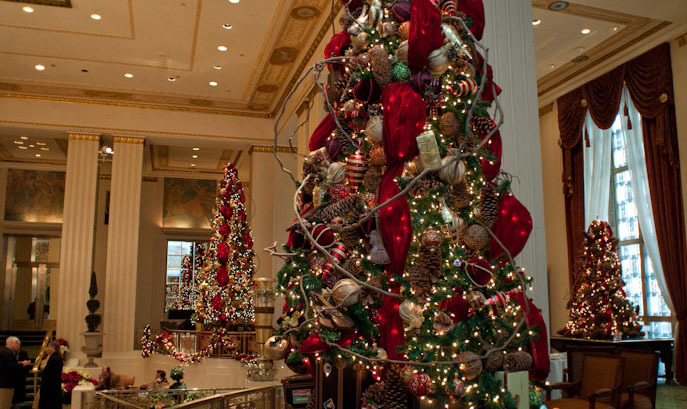 Recently Travel and Leisure did a article on the Best Hotels for the Holidays in the US. This article presented a number of posh hotels that were decked out for the most wonderful time of the year. At WhatAHotel! we showcase many of the same great locations, but there are two of these elegant hotels where we provide exclusive complimentary perks and benefits. If you are still planning on traveling for Christmas, check out these two luxury resorts and let WhatAHotel! treat you to a very Merry Christmas. Fairmont Scottsdale Princess is located in the always beautiful Scottsdale, Arizona. This five-star resort just recently established the "Christmas at the Princess" and it is fast becoming a huge success. The hotel transforms into a winter wonderland with carolers and animated light displays. As if that weren't enough, 65,000 lights have been carefully synchronized with lovely holiday music. Inside next to the roaring fire you'll find Santa ready for a chat and a picture. In the always impressive lobby you can find one of the main attractions, the six-foot tall gingerbread nutcracker. While there is a lot to see at the Fairmont, there is also a lot to do. Catch up on some last minute shopping at the artisan holiday mart or try your hand at the resorts Desert Ice Holiday Rink. 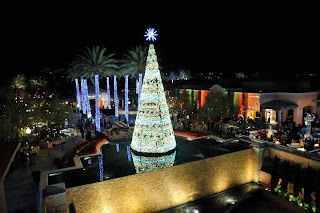 The Fairmont Scottsdale has captured some yuletide magic and presents it along side their impressive amenities and exceptional service. Head to Arizona and experience the warmth of the holiday season. Outrigger Reef on the Beach is another one of the Best Hotels according to Travel and Leisure. Situated on the island of Honolulu in Hawaii, this resort has been recently refurbished and provides year round comfort and indulgence. This remarkable beach front hotel knows it cannot produce a white Christmas, but it can showcase an island Christmas. 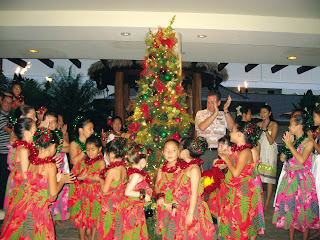 Guests can head to the free workshops where locals will teach the art of creating Hawaiian ornaments and holiday cards. 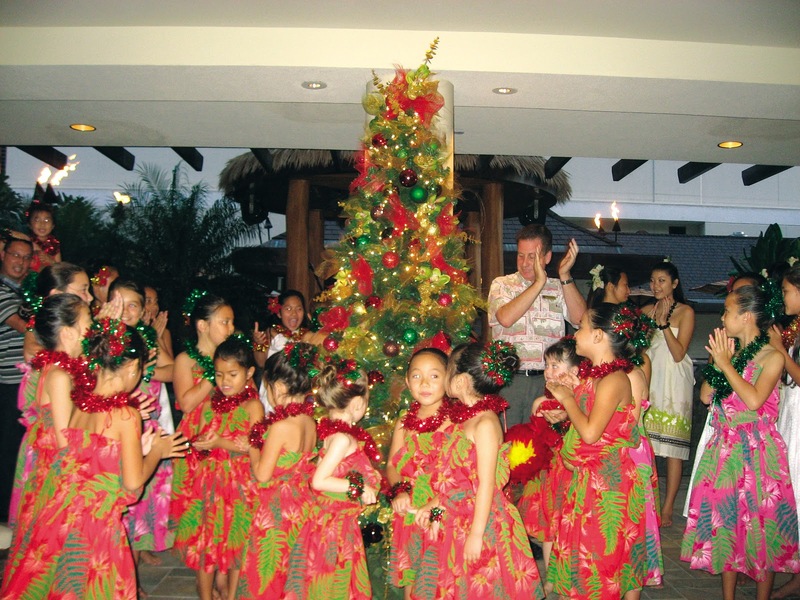 Employees get in the spirit of the season with a gingerbread house competition and local hula school students put on performances throughout the season. Kids get the chance to dine with Santa and have their photos taken just before the big day and let's not forget families can head to the beach and enjoy the warm temperatures and white sandy beaches. The Outrigger cannot provide snow and sleigh rides, but sand and surf might just be the next best thing. Traveling for the Holidays tends to be stressful and when you stay away from home it can feel impersonal. Hotels and resorts around the world are aware of this and are doing their best to create a festive atmosphere in their lobbies, restaurants, and also in the attitudes of their employees. Stay at some of the Best Hotels in the U.S. and have a Very Merry Christmas! Walt Disney World is a magical place throughout the year. A place where adults and children go to experience feelings of pure joy and cheer. During Christmastime however, this already wonderful place seems to completely radiate the holiday spirit. Head to Disney World and let the magic help to create your families most memorable and perfect Christmas. Festivities for the yuletide begin in early November and continue until after the new year. 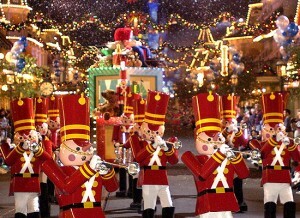 This extended schedule allows time for many visitors to enjoy the enchantment of Disney at Christmas. Mickey invites tourists to his Very Merry Christmas Party at The Magic Kingdom where you can see holiday parades, fireworks and live entertainment. Located in the Gardens Theatre in Epcot is the Holidays Around The World. 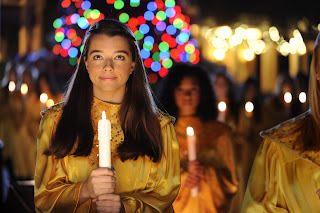 Here you will witness a candlelight processional where the story of Christmas is told by a celebrity narrator accompanied by an orchestra and choir. Check out the truly awe-inspiring Osborne Family Spectacle of Dancing Lights on the Streets of America at Hollywood Studios. This enormous light display showcases millions of twinkle lights all choreographed beautifully to music. The season makes the parks famous mouse quite busy with another fun event, Mickey's Jingle Jingle Parade. Held in Animal Kingdom, this afternoon display gets visitors in the holiday spirit with music of the season and a ton of cheer. In Downtown Disney travelers can shop, check out the live entertainment and festive decorations as well as visit Santa for a quick photo. And last but not least, dining with a festive twist is also fun during your Christmastime visit. All of the fabulous Disney restaurants are decorated and jovial, so enjoy the always impressive menus while taking in the holiday decor. With this amazing list of yuletide activities, there is no doubt that Christmas at Disney World will be even more magical then any other time of year. When you plan your trip to Orlando to visit Walt Disney World, you have a variety of exceptional hotels and resorts to chose from. WhatAHotel! has a list of the Best Hotels in Orlando that offer phenomenal complimentary and exclusive perks and benefits. One spectacular location is the Waldorf Astoria Orlando. This 5 Star Walt Disney World resort is lush and luxurious. Relax in the beautiful rooms that display state of the art amenities and comfortable decor. While you aren't spending time at fun filled Disney, the Waldorf Astoria provides a rejuvenating spa, an impressive fitness center and an 18-hold Rees Jones championship golf course. 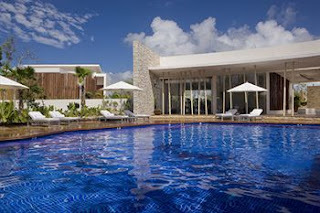 Take a dip in the striking pool or sit along side it in the comfortable cabanas. If you work up an appetite while touring the park, Waldorf Astoria has magnificent restaurants and lounges waiting to serve you. Enjoy steak, seafood or something from the casual grill. 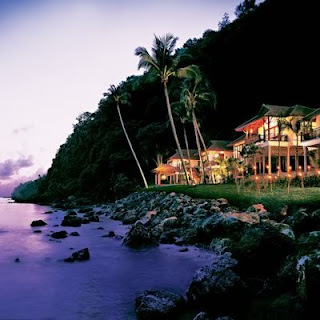 No expense has been spared at this gorgeous resort, so stay here and be ready to be pampered. Christmas time is a magical time of year. All over the world communities become captivated with the beauty of the season. Walt Disney World is always a place full of enchantment, so there is no doubt the holidays only make it even more alluring. Book a trip with your family to the wonderful world that is Walt Disney and stay in the glamorous Waldorf Astoria where all of your holiday dreams will come true. Christmas is just a week away and children around the world are standing in line watching and waiting to see the man of the hour, St. Nick. Many locations celebrate with Santa as the main event and his appearance brings joy and wonder to the young and old. Read about the fun and fantastic things Jolly Old Saint Nick is doing leading up to the big night. Every year Harrods’s in London holds a Christmas Parade. 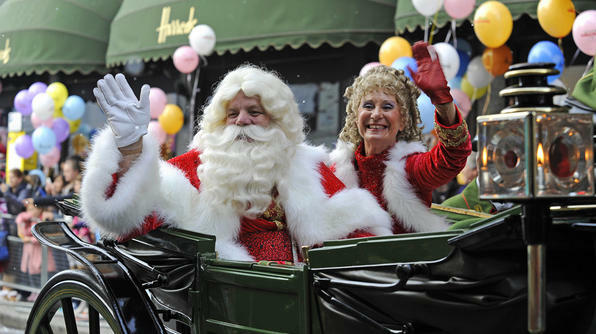 Crowds gather to catch a glimpse of Santa and Mrs. Claus waving from a carriage. London welcomes the holiday with a scattering of twinkle lights and a lot of cheer. Head here and check in at any of the Best Hotels in London where you will find fabulous perks and benefits. The Four Seasons London at Park Lane is one option. This splendid hotel was named Hotel of the Year for London in 2012-2013. WhatAHotel! is also a Preferred Partner of Four Seasons which promotes our mutual commitment to exceptional quality. 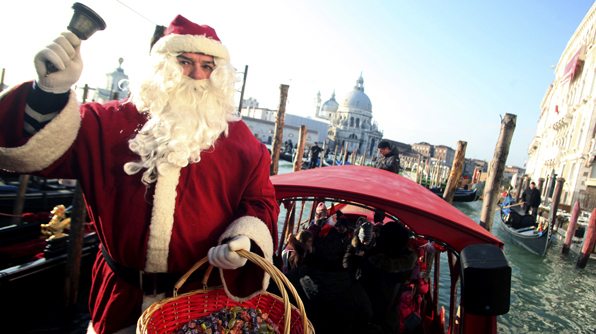 In other parts of Europe, Santa can be found doing a multitude of things and having some crazy adventures. Sweden's Santa likes to go for a competition sleigh ride during the Winter Games in Gallivare. In Denmark you will find 150 Santas dressed up and hanging out at the oldest running amusement park in the country and in Venice, Santa takes to the canals and distributes candy from a special Christmas gondola. Europe seems to be scattered with Santas celebrating the season. 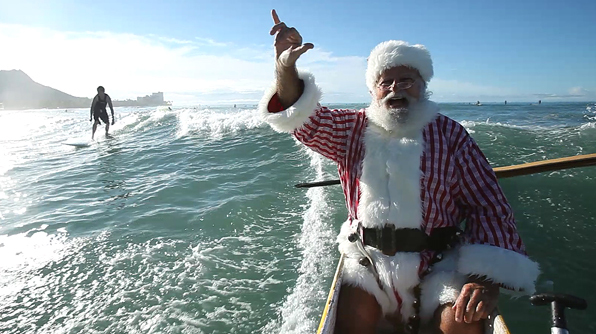 In the warmer climates, Santa likes to enjoy a different type of activity. In Honolulu he can be seen in a canoe riding through the surf, waving to surfers and beach goers. In Chile, he also takes on the waves but in a boat filled with his helpers where they head to shore to deliver gifts for the people waiting. And in the Philippines, Santa heads underwater with some scuba gear in the Manila Ocean Park Aquarium. The warmer climate must be a nice change of pace for Mr. Claus who is used to the cold and snow of the North Pole. 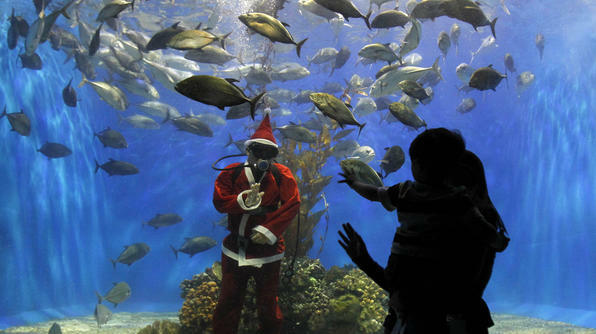 These are just a few locations where Santa is found spreading holiday cheer. His attendance brings out the best in people and creates excitement among children everywhere. This just proves that no matter where you are, Santa is always watching. ﻿﻿It is considered the most wonderful time of the year, and for this reason of that many men will plan and execute the most perfect and memorable proposal. It is not uncommon for couples to become newly engaged for the holiday season and because of this we think it's important to let everyone in on a few destinations that can ensure this event will be remarkable. Look at the list of best places to propose and WhatAHotel! will help you book the perfect accommodations for this important occasion. 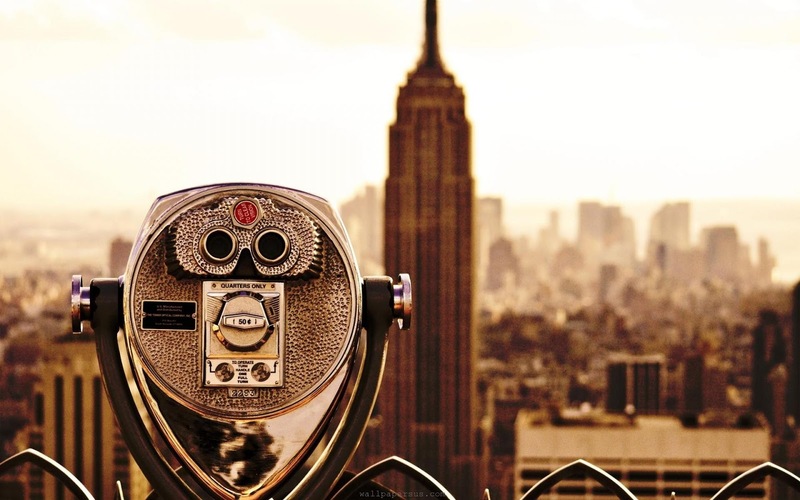 ﻿﻿﻿﻿﻿﻿﻿﻿One of the top locations has to be New York City. This town is a classic when it comes to romance and is the site for countless Hollywood movies where love takes center stage. 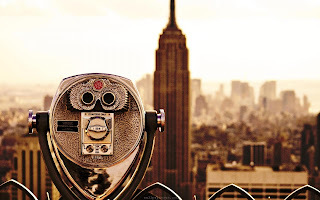 If An Affair to Remember inspired you or Sleepless in Seattle melted your heart, check out the Empire State Building as the prime spot for the popping the question. If you are thinking mood music would be a nice touch, take your knee on Thursday through Saturday from 10pm to 1am when the observatory plays host to a saxophonist performing some romantic tunes. Check in at one of the Best Hotels In New York City and stay in style to celebrate the engagement. If glitz and glamour or raw natural beauty are more your thing, then get ready to pop the question in Las Vegas. You may want to save the Vegas strip for the actual celebratory part of the night and instead head out of town for the proposal. The Grand Canyon looms just outside the city limits and can hold its own when it comes to romantic backdrops. If you are feeling adventurous, try a helicopter ride to the Grand Canyon where you can ask your love for her hand either in mid-flight or when you land for a sightseeing expedition. The quiet setting and wild wonder of your surroundings will make the proposal quite memorable, while some dinner, dancing and drinks on the strip later will top off the night in high style. Book your room or a suite in one of the Best Hotels in Vegas and be enveloped in trendy decor and fantastic service. If you and your sweetie are wine lovers, Napa might be the perfect destination to propose. With a plethora of wineries to choose from and views at each of them that will prove exceptional, you can't go wrong in Napa Valley. Hotels in the area are experts when it comes to romance and will entice you and your new fiance with couples massages and delicious food and drink. 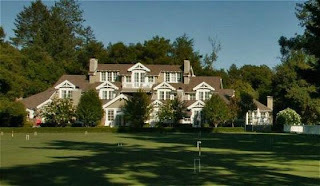 Meadowood Napa Valley is located on a private estate and considers itself the center of life in Napa Valley. The hospitality here is impressive and the cottages, suites and lodges are a dream come true. 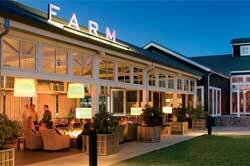 Another lovely location is The Carneros Inn, a retreat with an intimate atmosphere. This 27 acre vineyard also boasts farmland and an apple orchard. Country chic is the best way to describe this simply beautiful inn. Taste some wine while enjoying your new couple status in Napa. These US destinations offer up intimacy, thoughtfulness and some phenomenal settings for the proposal to take place. They also all have a spectacular number of elaborate options for celebrating the big event. Wherever you decide to ask this life altering question, know that WhatAHotel! will help you book the perfect suite for your romance and merriment. Booking with us will ensure you receive exclusive complimentary benefits and perks that will make the day feel as special as it truly is. Feel the love with WhatAHotel! It's time to start thinking about where you are going to go on your winter vacation this year. The slopes are starting to accumulate a great base layer and the ski communities are gearing up to welcome the hoards of tourists that will be bearing down on their usually sleepy towns. Get your skis out of storage and hit the slopes in some of America's most exclusive ski cities. 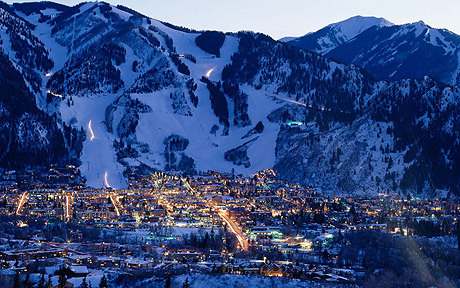 When thinking of the ultimate ski town, Aspen just might be the first name to pop into your head. 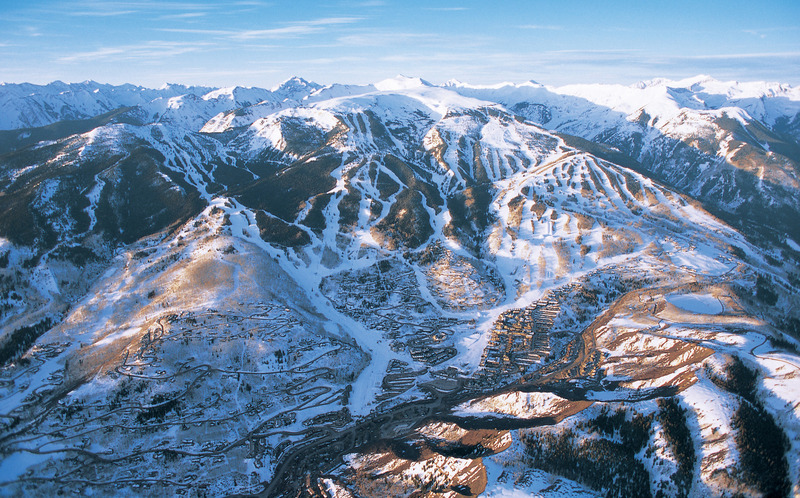 Situated in the picturesque Colorado Rockies, Aspen welcomes celebrities and the wealthy as well as families looking for a great place to enjoy the snow. At WhatAHotel! 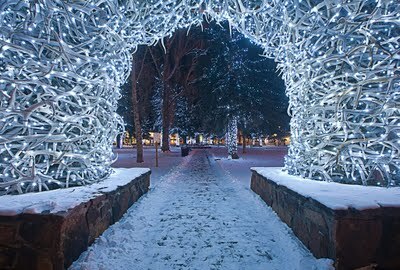 we feature some fabulous Aspen hotels that will offer up complimentary perks and exclusive benefits. St. Regis Aspen has just recently been renovated and now showcases a grand style with its $43 million dollar makeover. Along with the beautiful new interior, the St. Regis has also introduced a new concept in dining. It has a partnership with Food and Wine magazine and features an open kitchen with a chef's table and a menu that is looked over by amazing culinary artist. Checking in at St. Regis Aspen will ensure that you will easily find comfort and delicious cuisine during you stay. Hotel Jerome Aspen is another fine Aspen hotel and is revealing a fresh new look. Everything from the lobby to the guestrooms and suites have been updated and help keep the already prestigious image that is the Hotel Jerome. It also shows off its very own upscale and modern on-site spa, something that it hasn't had in the 125 years of doing business. 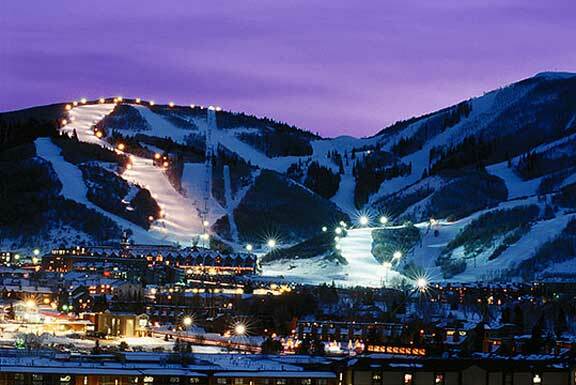 So when you decide on Aspen as your ski destination this year, book with WhatAHotel! and know you will be staying in the Best Hotels in Aspen. Another fabulous destination to plan your yearly ski vacation is Lake Tahoe. Nestled in the mountains on the border of California and Nevada, this community welcomes tourists for skiing and snowboarding each winter. Because Lake Tahoe is the largest freshwater alpine lake in North America, it tends to be a heavy tourist destination in the spring, summer and fall as well. This lovely community is home to some of the Best Hotels in the area, including the Hyatt Regency Lake Tahoe Resort. Booking with WhatAHotel! will guarantee exclusive complimentary perks and benefits that will set us apart from other online travel retailers. Check in here and check out the amazing amenities including the hotel casino, the Stillwater Spa and the amazing menus at the resort restaurant and lounge. This resort is located on the Nevada side of Lake Tahoe, on the California side you can find the equally beautiful Ritz-Carlton Lake Tahoe. The Ritz also gives you exclusive complimentary perks and benefits as well as exemplary service and modern amenities. Enjoy the ski in/ski out access and a mountain concierge that is sure to help make your ski vacation memorable. The state of the art spa and fabulous restaurants are divine and will help you rest, relax and recover from your day on the slopes. Swanky stays in sizzling Lake Tahoe. 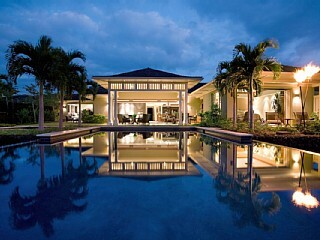 Still unsure if these above locations are the perfect place for you to spend your winter vacation? Maybe check out Park City, Utah and find perfection. The Waldorf Astoria Park City is one such amazing site. 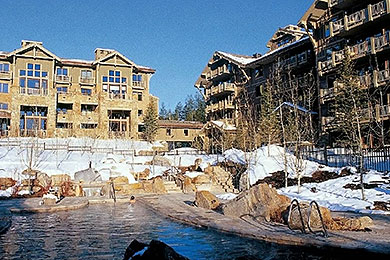 Located only 30 minutes from the airport, this resort is situated at the base of Utah's largest ski and snowboard resort. This resort shows off amazing views of the mountainside as well as being home to the famous Golden Door Spa. Enjoy a lavish treatment after a day on the mountain and then renew your energy at one of Utah's finest restaurants. Book your stay at the Waldorf Astoria or one of the other Best Hotels in Park City and experience an exclusive snow adventure. Wherever you decide to exhaust your days careening down the slopes, know that when you book with WhatAHotel! the benefits you receive will make you feel like a true VIP. Get ready to spend your winter holiday in some of the United States posh ski hotels and discover a wintry paradise! Even if you despise the cold and snow, it is hard to argue the beauty of new fallen snow on a picturesque town. This time of year when everyone is dreaming of a white Christmas, many towns showcase that white fluffy perfection. Perhaps some are more appealing than others, and Jackson, Wyoming is one such place. This charming community remains one of the last truly authentic western destinations. 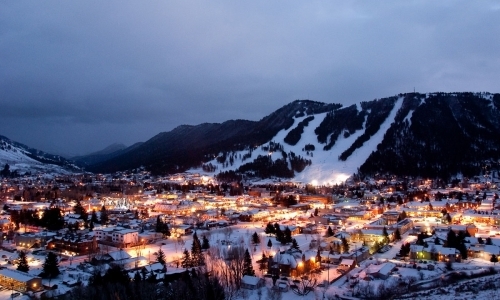 Head to Jackson and hit the slopes of one of America's prettiest cold weather towns. Take one look at the snow covered slopes of Jackson Hole and you will no doubt see the beauty of the area. These slopes cause skiers and snowboarders to travel toward this sleepy town every year. However, there is so much more to Jackson than skiing. Family owned motels are located next door to swanky upscale furriers. Don't be surprised to see a true cowboy or two when you head to the Million Dollar Cowboy Bar. Even though winter means bears are in hibernation, many other animals move into town from the cold and snowy slopes. Check out the Jackson Hole Wildlife Safaris that will take you through the Grand Teton National Park and you might just catch a glimpse of wolves, coyotes, elk, bighorn sheep, mule deer and moose. Although this quaint village is home to many mom-and-pop motels that will give you a great nights sleep at a reasonable price, WhatAHotel! offers up some fantastic and coveted hotels with exclusive and complimentary perks. 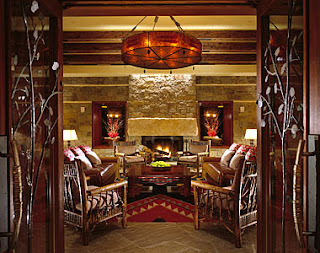 Of the Best Hotels in Jackson Hole, Four Seasons Resort Jackson Hole is an award winner with frequent high ratings. Nestled high in the Rockies, this resort is in close proximity to The Grand Tetons and Yellowstone National Park. Although this resort is fantastic year round, when winter comes it becomes a wonderland. Incredible views seem to be visible from every window at the hotel making it a perfect place to rest after a long day of skiing. All the rooms are rustic chic and offer top-notch amenities and modern conveniences. Rejuvenate your weary muscles at the Spa Escape where massage and body treatments can be booked. The on-site restaurants capture the flavor of the west with seasonal grilled meats and fish. Enjoy your surroundings as the warm wood and stone features create a truly cozy atmosphere. Check with the hotel concierge and find activities and programs that are suited to children, families or adventure seekers. At Four Seasons Jackson Hole you will be able to experience the pretty town of Jackson while enjoying the exclusive comforts of a Four Seasons. While the snow can create beauty in an unattractive setting by covering the flaws with gleaming white powder, it can also enhance the already gorgeous views and landscape. One look at Jackson in the spring through the fall and you will see the latter is true here. The addition of snow to the already resplendent city will only create an utterly bewitching backdrop. Head to Jackson, Wyoming and see the enchantment it presents. Shopping for the holidays can be a bit stressful for some, for others it is a real treat. Heading to the local shopping plaza and browsing through gleefully decorated stores can put even the Grinch in the Christmas spirit. 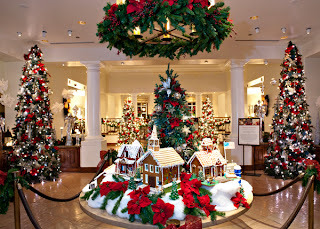 Trees are twinkling with joy and wreaths are hung with beautiful ribbons creating a sort of shopping wonderland. If you are lucky enough to live where it snows, you might even get a dusting of the white stuff that would help to create the classic storybook scenery. If you are in the mood to travel for your holiday shopping, let WhatAHotel! 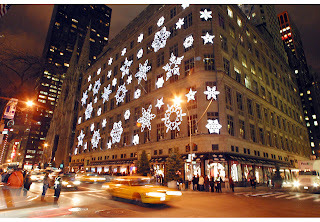 book your stay near some famous streets to shop for the holidays and get ready to splurge. ﻿﻿Switzerland is known for chocolate and watches but is is also famous for one very chic street. Bahnhofstrasse is a lovely tree-lined avenue that is home to many exclusive shops and boutique. The main stretch is about a mile long and is considered a top shopping location for the Swiss. Find high-end clothing stores, stylish shoes, accessories, jewelry and watches. You'll even find stores selling china and furs. Make sure you book your stay in one of the Best Hotels in Zurich and experience luxury and comfort. 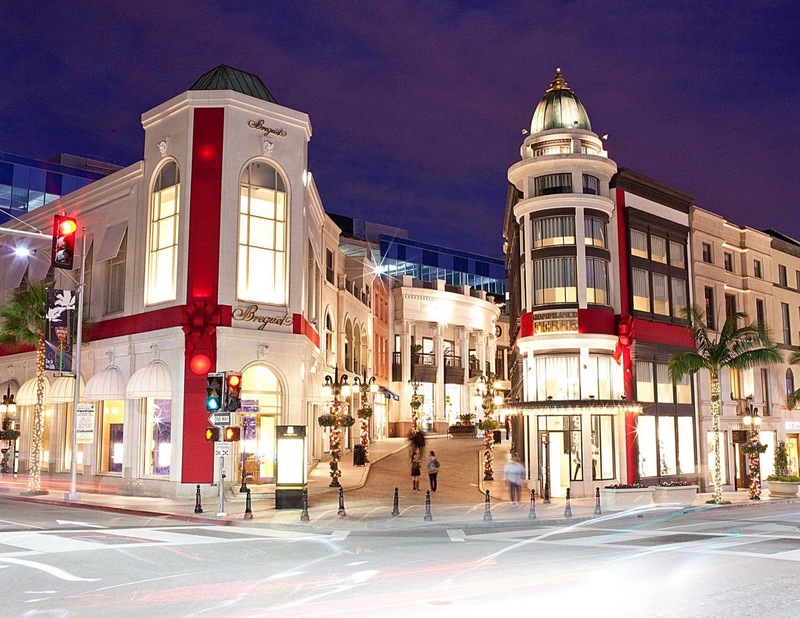 Beverly Hills is known throughout the world as a wealthy city with a varied amount of extravagant shopping destinations. Rodeo Drive has made its name synonymous with fashion and fortune. 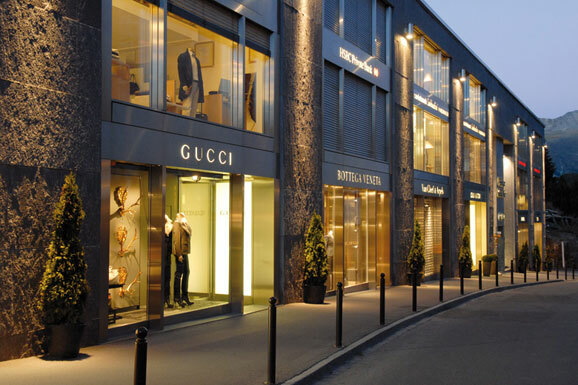 It is considered one of the world's most glamorous and expensive streets for shopping. Just off of Rodeo Drive lies its lesser known sister street Two Rodeo, which is home to a European style strip with cobblestone streets, fountains, bistros and fancy boutiques. Shopping here will not save you money but you will leave feeling thrilled with your finds. Rest your weary feet at one of the ﻿﻿Best Hotels in Beverly Hills and feel like a movie star. ﻿﻿Japan is well known as a fabulous place to shop. Tokyo showcases its exclusive shopping area in an impressive eight block area. 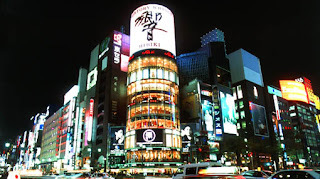 This section, known as The Ginza, is some of the most expensive real estate in the world. With that being said, it is no surprise that this street is home to some very exclusive retailers as well as Tokyo's very own landmark department stores, Mitsukoshi, Wako and the 14 floor Marion. Along with high end boutiques you'll find movie theatres and restaurants. Stroll through the streets and take in the extravagant window displays with scenes of Japanese culture. Once the sun goes down the street is lit with the bright and colorful neon lights of the shops and gives an electric feel to the area. Stay at one of the Best Hotels in Tokyo and experience the fabulous Japanese hospitality. 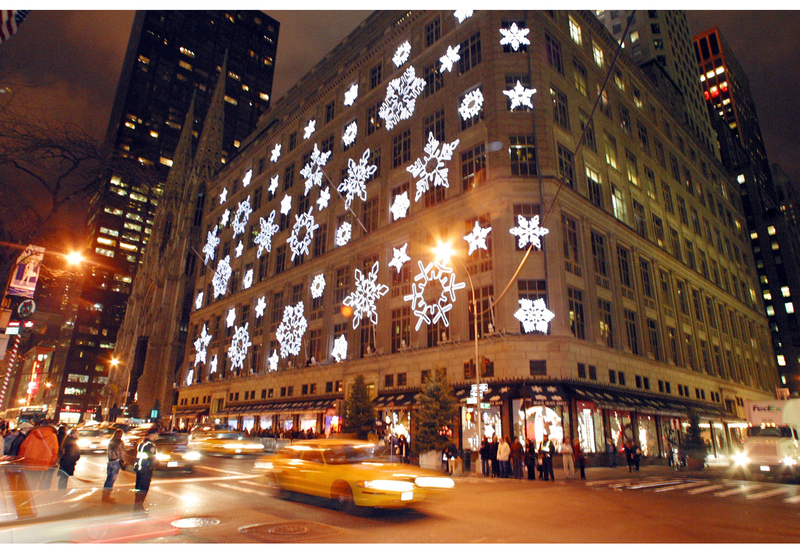 New York City's very own Fifth Avenue is quite possibly the most famous street for shopping. This elegant stretch is home to landmark department stores as well as smaller posh boutiques. This street is often considered a shoppers paradise with top designers selling their expensive goods just steps away from each other. In the month of December this street comes alive with festive lights and decor. The famous FAO Schwarz has doormen dressed as toy soldiers and Tiffany floats a 27 foot snowflake over the entrance outside. Macy's decorates their windows with winter scenes that attract not only shoppers but sightseers. New York City is considered the city that never sleeps, but during the holidays this town becomes a wonderland of twinkle lights, beautiful displays and pure joy. At the end of the day you can rest your head at one of the Best Hotels in New York City and find that the hotels are also very much in the holiday spirit. Last but never least we touch upon a street that is stunning any time of year. Avenue Montaigne in Paris is situated in the "golden triangle" which is between the Champs Elysees and the Seine. Paris is often thought of as a fashionable destination, so if one street stands out as the most fashionable here it must be truly amazing. Luxury and expense are the best words to describe this street so don't head here if you are looking for a bargain. Haute-couture houses have addresses on this elegant avenue so there is no doubt that you will be able to find the latest and greatest in fashion finds. 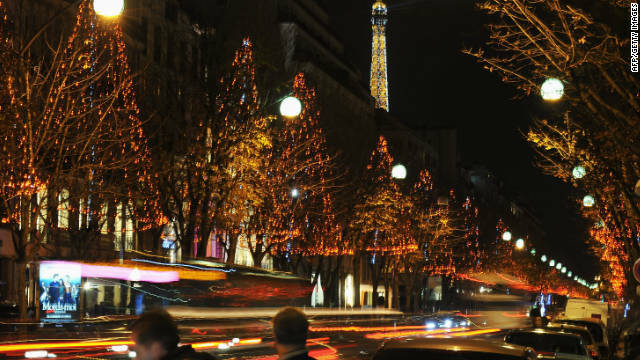 Stroll through the street to experience the ostentatious surroundings or peruse the shops for that perfect gift, you won't be disappointed on Avenue Montaigne. Check in at one of the Best Hotels in Paris and rest and relax after a day in the iconic boutiques. New York City is filled to the brim with historic landmarks, monuments and buildings. Everywhere you look while walking through the crowded streets you will see buildings that have stood the test of time. Some house new, up and coming businesses while others have the original tenants. One of the timeless locations is The Plaza. When you hear the name there is no need to elaborate, its name says it all. 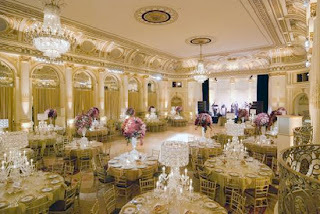 While the wealthy consider this a grand hotel, the newly engaged seek it out to host their lavish weddings. Yet still young 4-8 year old little girls dream of wandering through the halls in search of the beloved book character, Eloise. So as you can see, The Plaza not only captures the hearts of many adults, but also the dreams of various children. The hotel was purchased by a financier and started out as a residence for affluent New Yorkers. The Vanderbilts were the first to sign the registry back in the early 1900's. 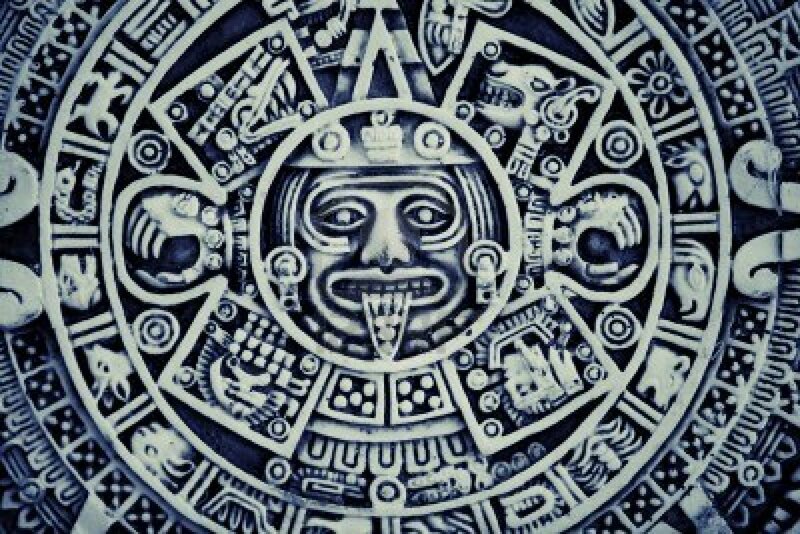 Since then kings, ambassadors, celebrities, presidents and curious travelers have booked a room at The Plaza. Now listed on the Register of Historic Places, a night at The Plaza will be nothing less than legendary. First when planning your trip to The Big Apple and The Plaza, you will need to decide on a suite. Start out simple but elegant in the Plaza Room and go up from there. Choose from the 8 elegant suite selections or if money is no object but luxury is required, book your stay in the 3 bedroom 3.5 bath Royal Plaza Suite. The almost 4,500 sq ft setting has a state of the art kitchen, magnificent views of Manhattan and what seems to be unlimited posh amenities. Jump onto your private elevator and get ready to be welcomed by your own butler. Nothing has been overlooked in this impressive suite, so get ready to sit back and relax. 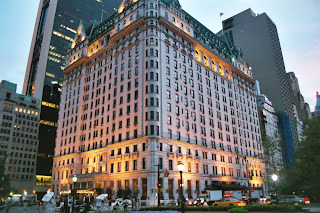 When booking your room at The Plaza, WhatAHotel! will offer you exclusive complimentary perks and benefits that are sure to make your trip even more memorable. Pick any of the lovely rooms or suites and know that no matter which one you chose you will receive amazing service, top-notch amenities and an unforgettable stay. One thing that has made The Plaza a household name for little girls everywhere is Eloise. The spunky little girl that lives in the plaza with her nanny, her dog and her pet turtle. This little girl never fails to cause trouble for pretty much everyone in the hotel, but is loved none the less. The books have been made into animated movies and even a star studded film. So if a young girl hears of The Plaza, she is going to want to stay with Eloise. Taking this into consideration, the hotel has created an Eloise Suite. 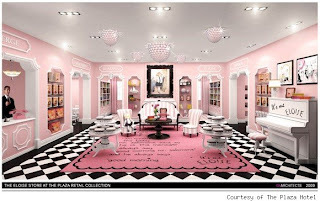 Fashion designer Betsey Johnson is the mastermind of the idea and has made a two room suite that will be a dream come true to any little girl that loves Eloise. The room is full of zebra patterned rugs and pink and white striped walls. Gold leaf molding and a sparkly pink headboard add to the fantasy room. Old world glamour has been intertwined beautifully with the fun and festive pink theme to make the suite enjoyable for every age. The Plaza has even incorporated Eloise into the shops and restaurants by creating a tea for the young fans and a playhouse-like shop. The Plaza has secured the fact that every girl, young or not so young, can enjoy their time here. 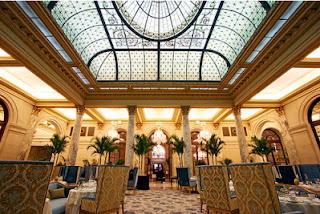 Dining at The Plaza is almost as famous as the hotel itself. Whether you're an early riser or a lover of the night, there is a selection of fine food and drink available. Head to The Food Hall and choose between sushi, seafood, Asian inspired dishes or something simple from the grill. This marketplace is easily accessible and affordable but also delicious and delightful. The Palm Court serves breakfast, dessert and afternoon tea while the Clubs and Bars serve up small meals with elegant cocktails. So much to eat and drink, so little time. While at The Plaza shopping and health and beauty are all easily available. The Shops at The Plaza are boutique settings and showcase chic and trendy merchandise. The Caudali Spa is a vinotherapy spa where the healing properties of grape skins, seeds and stems are used. A plethora of treatments are listed that will guarantee relaxation. Get a mani/pedi or touch up your color at the Warren-Tricomi Salon or get your sweat on at The Plaza fitness center. There will never be a moment during your stay where you will be in search of ways to spend your day. The Plaza does NOT disappoint. It has been said that "Nothing unimportant happens at The Plaza" and that has been the case since first opening the doors. The Plaza emanates style, comfort and good fortune. 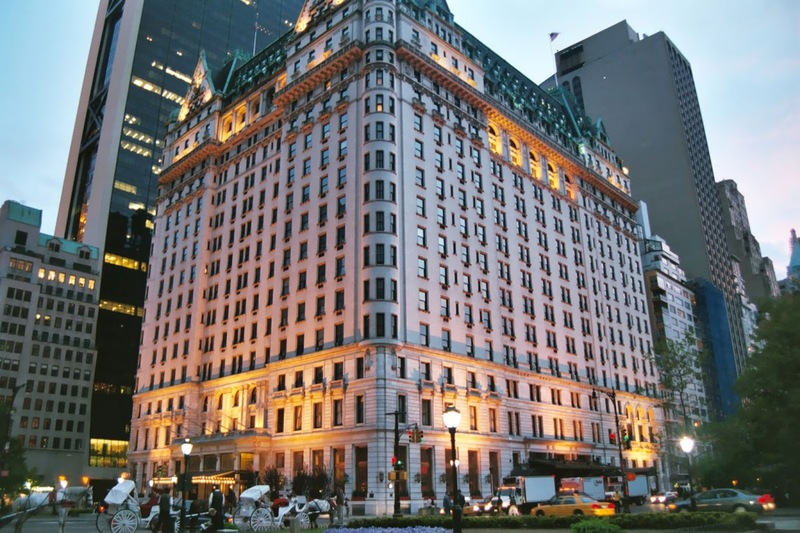 Head to New York City to experience more then you thought possible, but stay at The Plaza and acquaint yourself with excellence. Winter is fast approaching and your favorite national weatherman is once again issuing a warning that somewhere in the US a snow storm has hit or is about to hit. This storm will be leaving behind mountains of snow, slick roads and some very happy skiers. Although the United States and Canada have some amazing locations that will make both you and your snow boots happy, these cold and snowy conditions do not last throughout the year. Take a peek at a few other locales around the globe that promise fresh powder, manicured mountainsides and quaint ski in/ski out villages. If you are a winter sports enthusiast and get a little blue when spring hits, never fear, WhatAHotel! will provide you with the information you need and hotel bookings you want to ensure you keep your winter weather gear in use all year round. The months of November through March pretty much promise that you won't have to travel too far from home to get a great hotel and great cold weather. When the ski season starts, some normally quiet cities become boisterous and full of life. The cities welcome tourists with hospitality and a laid back lifestyle. In the US, Utah and Colorado are huge ski states and although we cannot guarantee amazing weather, we can assure you that you will be staying in the Best Hotels in Colorado or the Best Hotels in Utah. Select a famous posh setting or a quiet and tranquil scene and get ready to celebrate the snow. If you are prepared for a trip that requires your passport, check in at one of the Best Hotels in Canada, including the phenomenal city of Whistler or the world renowned city of Banff. Any way you look at it, ski season is in full swing in North America. Once Spring starts to warm the skies and the blooms begin exploding from the ground, snow lovers will need to look elsewhere for their favorite cold weather activities. It's not to say that mother nature won't treat us to a late breaking snow storm, but the possibilities dwindle. While the weather is warming here, the other side of the globe is bracing for the cooler temps. 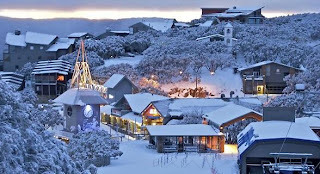 Australia and New Zealand may be an unlikely ski destination, but the mountain ranges located there are prime for skiers and snowboarders. A trip to Melbourne will give you the best of both worlds, big city life and a short drive for a day trip to the slopes. Melbourne is close to Mt. Buller, just a three hour drive away from the vibrant city streets to the snow covered slopes. Stay at one of the impressive hotels in Melbourne and enjoy a drive through the countryside to Mt. Buller. In nearby New Zealand, they too offer up fabulous skiing from June to October. Wanaka is situated near Queenstown and is a stunning area known to be a popular snowboarding site. Queenstown itself is an adventure capital and if you aren't snowboarding you can skydive, boat, and maybe do some sightseeing and hiking. Australia and New Zealand are well known to be warm weather destinations, but venture here when the weather starts to cool and discover some really "cool" activities.